Join our Annual PAC Campaign, click here. What's the TNP PAC? The purpose of the TNP PAC is to help elect and keep in office state public officials and candidates, without regard to party affiliation, who support legislative priorities that promote improving patient access to quality health care and nurse practitioners as health care providers. 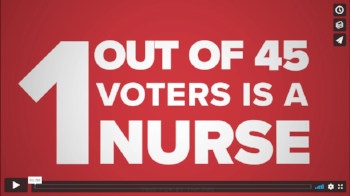 In addition, the TNP PAC helps promote political education and participation in the political process among members of the nurse practitioner profession. Disclaimer: Gifts to political action committees are not tax deductible. Contributions to TNP PAC are for political purposes. All contributions to TNP PAC are voluntary. You may refuse to contribute without reprisal.